Every single fighter from Smash history is making a comeback in Super Smash Bros Ultimate, bumping up the final roster to a massive 74-strong. There are new characters as well, and Echo Fighters, so plenty for fans to sink their teeth into. With all of the new fighters, features and Final Smashes, we figured it’d be good to write guides on every single character in the game. In this Super Smash Bros Ultimate Pit Guide, we’ll be taking a look at how Pit handles/feels in Super Smash Bros Ultimate. We’ll take a look at his Final Smash, the changes that have been made since his last appearance, and also what alternate outfits you’ll be able to equip and play with. Pit is back for Super Smash Bros Ultimate, having last appeared in SSB4 and then Brawl before that. He’s a very fast fighter indeed, specializing in aerial and ranged attacks. He’s a great choice for beginner’s, and can be a real joy in the hands of veteran players. Let’s take a look at Pit in Super Smash Bros Ultimate. 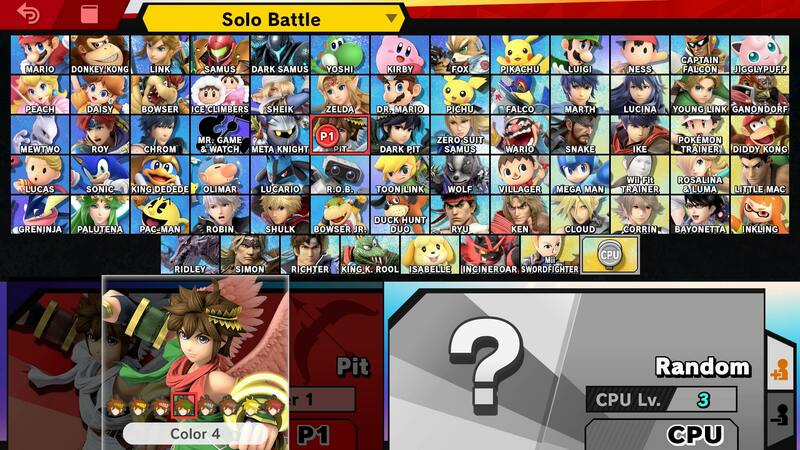 There’s Dark Pit, and then there’s normal Pit in Super Smash Bros. Ultimate. In the table below, we’ll be guiding you through a complete list of the various moves that Pit can pull off. To help you get settled back into using Pit, we’ve collected all of the changes we’ve noticed from his previous outing. We’ll take a look at everything from altered animations, to a brand new Final Smash. 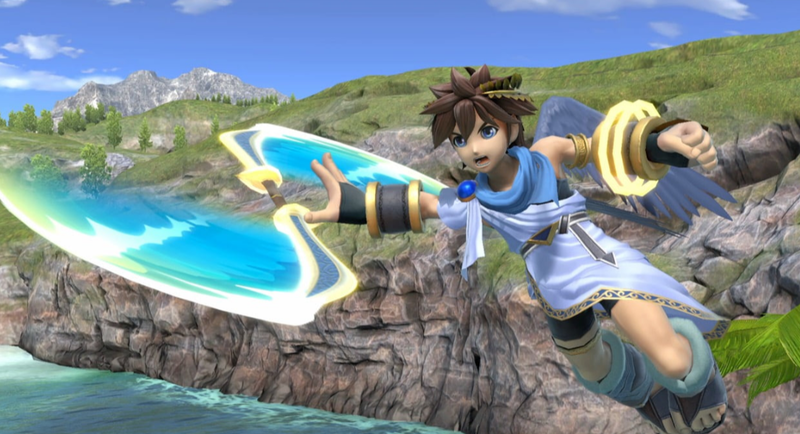 Pit has a brand new Final Smash, which we’ll detail later. Pit’s eyes are much more detailed. Upperdash Arm does less damage. Just like all other characters in Super Smash Bros Ultimate, Pit has some variant looks that players can choose from. They are simple palette swaps here, though there is a blonde hair version as well. Additionally, you’ll be able to pick from yellow, baby pink, green, blue, black, and magenta versions of his robes. We’ll be adding more screens once we get our hands on the game. You can check out the blue variant below. Pit has a brand new Final Smash for players to use. 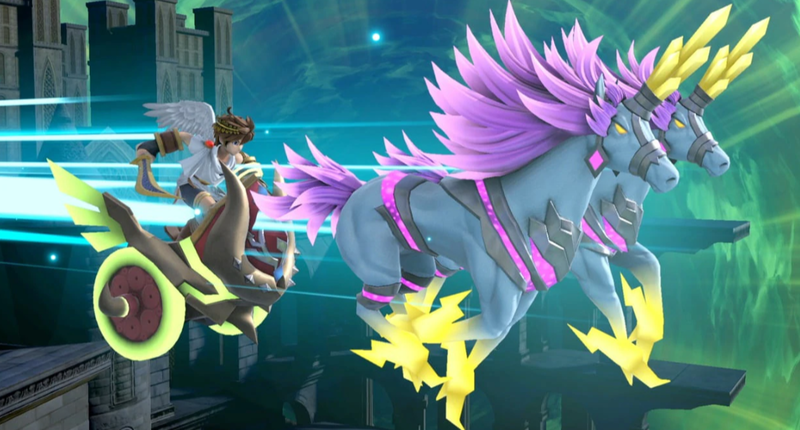 It’s called Lightning Chariot, and is similar to the Dragoon item attack. It summons a chariot which flies in from the back of the stage. You can check out footage of it in the video embedded above. That's everything we know about Pit in Super Smash Bros Ultimate. We'll be updating this guide as we learn more, so stay tuned for further details. For everything else on the game, head over to our Super Smash Bros Ultimate Guides hub. You'll find every trailer, what new stages we'll see, a full character roster, and more.